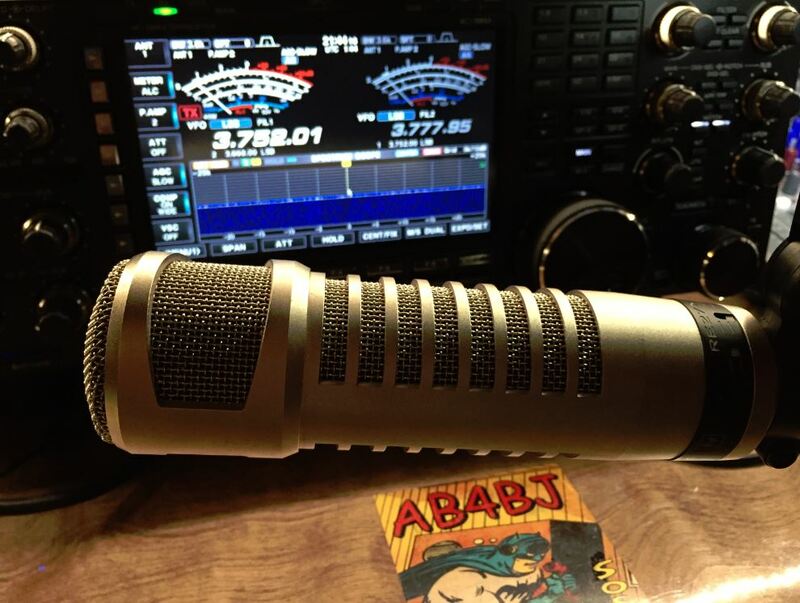 In my initial impressions of the IC-7851, I indicated that setting up the transmit audio settings for use with my Electro-Voice RE27 N/D microphone had not been very difficult and that I was receiving very good audio reports with this combination. In this post, I’ll explain how I set this up, and include some images. 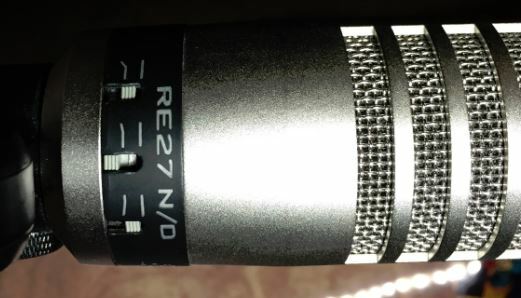 As I have mentioned in other posts in this blog about audio set up (most recently where I interfaced the RE27 with the TS-990 I used for two years), your mileage may vary depending on your voice characteristics and other factors. Don’t hesitate to play with these settings and get honest critique from fellow hams on the air. I’ve found that using the monitor function on any radio never really gives you a true picture of how you sound, so enlist others on the air to help you. I should also point out that there is no such thing as “one size fits all” when it comes to transmit audio. The best settings for rag chewing will be a far cry from what works best when you are trying to bust a DX pileup. So, know your voice and your intended application when setting up your transmit audio. Tinkering, after all, is at the heart of amateur radio! While I do work DX from time to time, I spend most of my operating hours talking to fellow hams or checking into nets. I therefore rarely strive to have the “piercing” audio that some DX operators use. When I do want to have a bit more punch, I will increase compression, narrow the bandwidth and eliminate bass, but this is the exception to how I normally operate. This description of my settings is therefore probably not suited for a DX contest or similar application. I have found that my settings generate very good reports from fellow hams who have told me that I have very “pleasing audio” and that “it sounds like you do in person”. One more thing before we get into the settings. Don’t eat your microphone! A lot of hams believe that they must also touch the mic with their mouths when transmitting. This can result in distorted audio and an RF burn if you have that problem in your shack, so remember to keep a respectable distance from your mic when transmitting. I try to be at least two inches back when using my RE27. 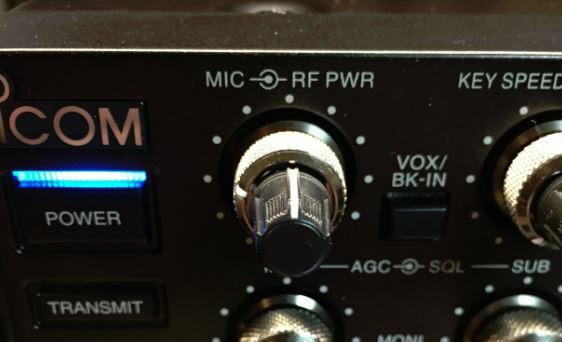 I believe that any time you are setting up your transmit audio you must start with the mic gain and the ALC. In fact, I constantly check to make sure that I am not exceeding the ALC zone on my meter. Adjusting your ALC should be quick and easy. Using a dummy load talk into your mic and adjust the mic gain so that you do not exceed the red ALC zone. I have mine adjusted to peak at the end of the zone, but never exceed it. For me, the mic gain setting is at the center (or twelve o’clock) to achieve this with the RE27. After your gain is adjusted to peak, but not overdrive, your ALC, move on to the comp setting. I run with the compression on and adjusted to the center (12 o’clock) position. Again, your mileage may vary, but I have received very good reports with the compression on at this level. Try it both ways and see what other hams say about your audio on transmit, but this setting with my mic did not produce any harshness in my transmitted audio. The compression control is at the bottom of the radio. 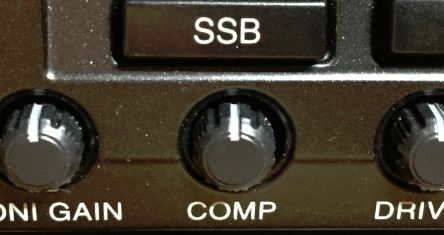 You may have noticed that the compression indicator, above, also shows your transmit bandwidth (TBW) setting. I run mine “wide” for this setup, but the 7851 allows you to choose narrow and midrange as well. You might want to consider narrow for DX pileup work. The good news is that all three TBW settings are adjustable in the settings for the 7851, so play with these and find the range that makes your audio sound the best. After you adjust your TBW ranges to suit your operating needs, you will select wide, mid or narrow by holding for 1 second the selector adjacent to the compression/TBW indicator. By the way, the TBW settings are accessed by pressing “set” (F-7), “level” (F-1) and scrolling down to the SSB TBW area. Once you’ve highlighted the setting you want to change, use the main VFO knob to change your settings. Pressing DEF (F-4) will always change the settings back to default. While you are in this part of the menu of the IC-7851, you can tweak the final setting to make your transmit audio sound great. In addition to your TBW setting, the IC-7851 also has a simple equalizer to allow you to adjust the base and treble of your transmitted audio. For this setup, I have mine set at Base +2 and Treble +1. Again, your mileage may vary, but this works well for me with the RE27. That’s it! After working on all of these settings and receiving some helpful on-the-air input, I think I have achieved great sounding transmit audio with the IC-7851 and the EV RE27. I hope this helps some of you get started with adjusting the audio on your IC-7851, but remember – it’s just a starting point! Good luck and have fun with this truly first class radio. P.S. Please post your experiences, settings, etc. in the comments section below. This entry was posted in Uncategorized and tagged Audio, Electro VOice, EV RE27, IC-7851, Icom, SSB. Bookmark the permalink.